You are at:Home»TUTORIALS»How to get a OnePlus 2 Invite! The OnePlus 2 will be officially announced via the world’s first product keynote in virtual reality on July 27, 07:00 p.m. (19:00 for the folks on military time) PST (Pacific Standard Time). While we know some information about the device, no one has been able to confirm the actual dimensions of the device. One great thing is the price of the device will be under $450, this is safely assuming that the lower-end version will be under $450, if there is more than 1 version, the higher end version (most likely with higher storage) could have a higher price tag. NOTE: Sign up for our LG G4 International Giveaway! While the announcement is a couple of days away, you can already sign up for an invite. Here are different ways to obtain a OnePlus 2 invite. 1) Sign up for an invite. Click here to sign up for an invite. You will be sent an invite based on the order you signed up. 2) Win an invite on social media. Follow OnePlus on their Twitter, Facebook, Instagram and their YouTube channel. OnePlus will announce several invite giveaways through their social media network. If one of your friends gets their hands on the OnePlus 2, they will receive invites. Obtain one of these codes and the OnePlus 2 can be yours as well! OnePlus is known to giveaway invites in their forum threads, just sign up for an account and regularly check their website. 5) (Not recommended) Buy one on eBay. Personally, we hate the fact that people sell their invites on eBay, but its supply and demand, pretty soon invitations will be popping on eBay. 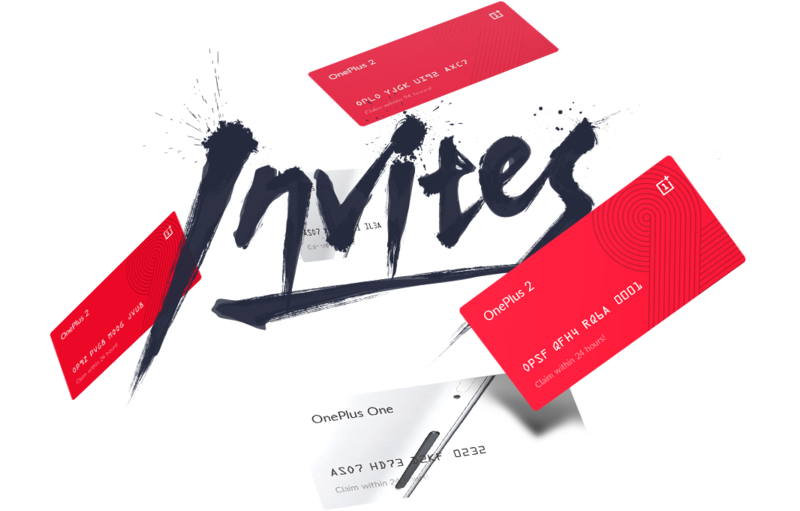 In addition to OnePlus social networks, people online with invitations occasionally gives their invites away online, most may require a retweet, a follow, so follow #oneplus2invite on social media.